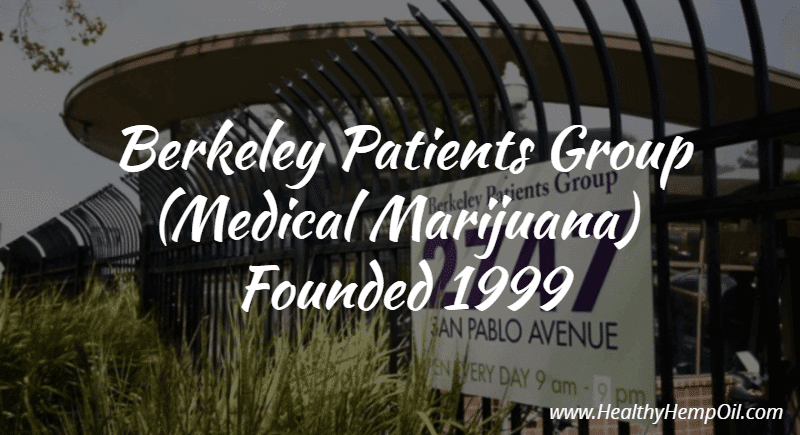 Berkeley Patients Group (BPG) is the oldest cannabis dispensary in the United States. Founded in 1999, BPG has offered several medicinal services to the public, meeting the needs of patients successfully. Being one of California’s most established, cannabis collectives, BPG earned its reputable title through its standing with its community. By creating an environment founded on compassion, inclusivity, family, legal integrity, care, and professionalism, those that buy from BPG are met with reasonable prices, as well as lab-tested, quality marijuana. Often, many people who are disabled in some way are abandoned by family or friends. BPG makes an effort to make patients feel welcomed and at home, as well as have their medical needs met. When faced with intolerance towards medical conditions, a place like Berkeley Patients Group serves as a reminder that community can help people heal emotionally, physically, and psychologically. The mission at BPG is mainly to provide top quality, practical, and affordable medicinal cannabis to its patients by maintaining its high standards in communication, service, and marijuana. It’s no wonder that BPG is held in the highest regard by its patients. In this guide, we’ll go over the type of services the Berkeley Patients Group offers as well as general information about the organization. When it comes to products offered at the dispensary, the cannabis menu ranges from flowers (indicas, sativas, and hybrids), concentrates, edibles, pre-rolled bud, topicals, seeds and clones, as well as other accessories, like rolling papers, vapes, batteries, and lighters. A major goal at BPG is to foster meaningful relationships with its community by impacting and improving lives as profoundly as possible. With proper engagement, BPG is able to respond to requests and concerns with as much provided support as possible. The act of giving back stands as a priority for BPG, as it feels that social causes that bring about a stronger sense of community, contribution, and compassion should always be supported. The Helping Hands Organization has followed up with a monumental amount of good deeds such as giving support to families in need. Plenty of educational resources are provided by the group, as having a strong understanding of cannabis and its effects on your physiology and psychology is vital in your approach to the world of green. Some topics covered on its site go over the benefits of consuming marijuana, in comparison to pharmaceutical medications, which can produce a wide range of unpleasant and harmful side effects. Being an organic (mainly carbon-based) form of treatment, marijuana is seen to have far less adverse effects on patients, as well as higher rates of alleviating symptoms associated with patients’ disabilities or diseases. Some of its resources go over consumption methods and a review of cannabidiol (CBD) and cannabinoids. The manner in which you consume your bud can alter the way you respond to weed. (2) Knowing your preferred method, whether that is via smoking weed, applying a topical cannabis oil, or consuming an edible, will probably require you trying it out first. Fortunately, there are a variety of community resources available to BPG’s patients – all at an affordable cost. Below is a list of some of the organizations offering support to those seeking help within the area. You may wonder, what does it take to be a member of the BPG family? It really is simple – just reach out or stop by! Given the openness and inclusivity at BPG, this direct-action, activist network is more than likely to welcome you with open arms. Discuss your specific needs or requests, and a staff member at the dispensary is going to help you to his or her best ability. Being a home to many outcasts, it is an important principle to the BPG community to accept others for who they are, no matter the rough circumstances they may be dealing with. Providing safe access to cannabis patients is one of the several goals at BPG. Unjust arrests related to marijuana possession can have a profound impact on individuals seeking proper treatment, so reaching out to the BPG cannabis collective can save you the worry and, most importantly, make you feel cared for and at home. By making a conscious effort to help and uplift those around you, there is no doubt that you would fit in perfectly at the Berkeley Patients Group. BPG’s Sticky Guide website makes this part rather fun. You are able to filter price caps (given the units of measurements), strength (from 1 to 4), type (indica, sativa, or hybrids), flavor, and density. (6) In addition to this, you can also base your purchase off the reviews and ratings from BPG and other people. Topical creams, as well as oral delivery methods (edibles, sprays, drinks, capsules, and tinctures), are very popular as well. They are as powerful as they sound. Concentrates are normally purchased by those who have a higher tolerance to bud and need to smoke larger quantities to get high. Due to its higher potency, in comparison to cannabis, concentrates aren’t normally recommended to first timers (unless you’re brave like that). If considered, concentrates should be smoked in moderation, as they can be abused due to their extreme psychoactive effects – paranoia, anxiety, panic attacks, and hallucinations are a few of their negative symptoms. Cannabis will often have more flavor and terpenes, the fragrant oil released by weed, but this isn’t always the case. Terpenes can be reintroduced to concentrates after the heating and extraction process. BPG also offers edibles, or you can create your own. While normally consumed as “weed brownies,” there are many form edibles come in. For gastrointestinal uptake (digestion occurs in the stomach), brownies, cookies, chocolate bars, and macaroons are the most popular foods, but keep in mind that you can make literally anything an edible. Oral uptake (digestion occurring through saliva) is often available as well, most popularly in the form of tinctures, lozenges, lollipops, and gums. When compared to marijuana, edibles are said to be healthier due to the absence of smoke, however, the high is usually much stronger, lasting longer periods of time as well. More THC is absorbed into the bloodstream, which is the reason why many claim to experience severe psychological symptoms when edibles are consumed. Doses of 10-15mg are recommended. Keep in mind that the onset takes over 30 minutes, so continuing to consume more is probably not the best idea. It is suggested that you also eat before taking an edible, as it can upset the stomach. Topicals can potentially be extremely handy when it comes to burns, psoriasis, menstrual cramps, dermatitis, bug bites, itching, headaches, hemorrhoids, pimples, warts, fever blisters, muscle spasms, muscle cramps, skin rejuvenation and primary orgasmic dysfunction. Seen in the form of lip balms, lotions, bath salts, and medicinal patches, topicals are extremely handy, as well as wide ranging, in their use. BPG also sells plant seeds and clones. Being a dioecious plant (exhibiting female and male reproductive parts on different plants), it is important to know that only female plants are capable of giving rise to the cannabis flower, which is what contains the THC that gets us high. Educating yourself on the anatomy of a female plant, as well as the methods in which pollination occurs, is essential to your success in understanding and growing marijuana. Familiarizing yourself with germination, auto-flowering cannabis seeds, the difference between cannabis seeds and cannabis clones, high-CBD seeds, legality concerns, quality contributions, as well their expenses, is vital since growing such plants can be quite the process. You can watch the growth process before your own eyes, which can be a very rewarding experience. Due to federal prosecutions in 2011, Berkeley Patients Group faced several attempts from outside parties to put an end to the organization. It was an extremely severe misfortune to the non-profit organization for multiple reasons, one being that the collective still owed over $6.3 million to the state for marijuana sales between 2004 and 2007. BPG was forced to close down its location in May of 2012. Fortunately, the group was able to relocate its dispensary, following the incident. The new location proves better than the last, in fact, as it’s now easier to find, has nicer light installations, and is smoke-free. To the dispensary’s dismay, another lawsuit surfaced in May of 2013, less than a year following its new opening. Being within 1,000 feet from two preschools, BPG was found to be violating federal law. The group faced a three-year-long lawsuit, but it was still able to continue its operations. On October 31, 2016, the Feds dropped their case against the organization, allowing the team another shot to continue giving back to its community. Now standing for almost 20 years through strength and perseverance, Berkeley Patients Group hopes to go down in the books as not only the oldest, but the most persistent dispensary to have ever faced such long standing legal disputes. With the backing of its community, it’s likely that this organization will be on the market for several years to come, holding on to its popular traditional values of compassion, care, and success.